This is the second major United States acquisition this year by the billions-backed European board game publisher. France-based board game publisher Asmodee continues to gather momentum with the announcement today of their impending acquisition of and merger with the immensely popular Minnesota-based board game publisher Fantasy Flight Games. Fantasy Flight, long a mainstay of the high-end hobby games world, is known for recent games such as Star Wars X-Wing Miniatures and Android: Netrunner, as well as for producing games based on Warhammer 40,000 and a variety of roleplaying games. 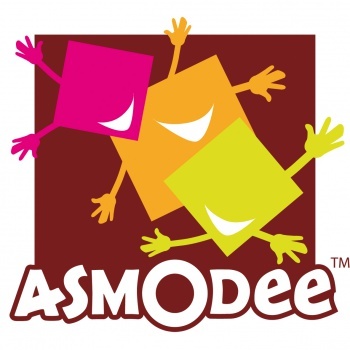 Asmodee is a large French publisher of board games owned by the Eurazeo investment group, which manages some $6 billion in assets. The terms of the acquisition are not being disclosed. This news follows Asmodee's August acquisition of popular California-based publisher Days of Wonder, a merger which is now apparent was simply the first step in a broader strategy in North America. Fantasy Flight, like Days of Wonder, will continue to operate out of its North American headquarters as an independent publisher, though some operations will be streamlined alongside Asmodee's. Christian T. Petersen, CEO of Fantasy Flight Games, will continue in that role while becoming a major shareholder in the combined company. "Fantasy Flight Games has enjoyed tremendous growth over the last 10 years," said Petersen in a press release, "By joining forces with Asmodee, we'll be able to continue that growth." There aren't many changes to be made at Fantasy Flight, and no losses or changes of its many licenses to make games based on popular IP as diverse as Game of Thrones or Sid Meier's Civilization are expected. Asmodee intends to expand and improve Fantasy Flight Games' organized play support in European regions to be comparable to that of the United States, though those improvements will take over a year. Some Fantasy Flight Games properties might make transitions to other Asmodee brands, but no details were provided.